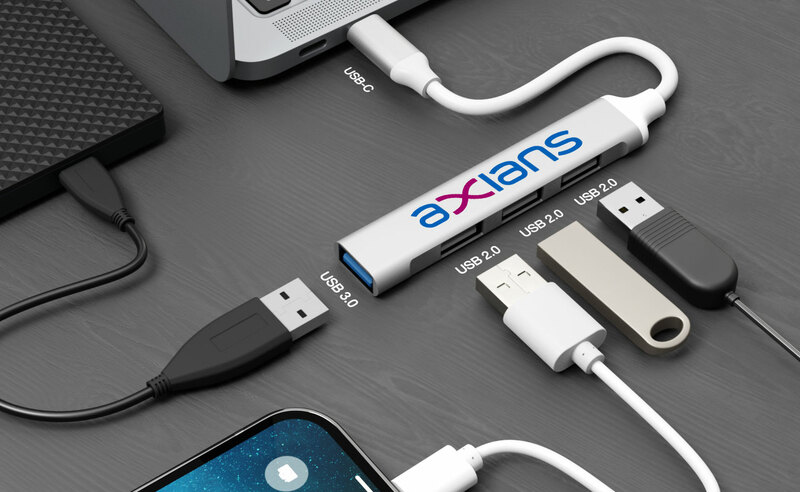 The Expand USB Hub turns 1 USB port into 4 ports, allowing the user to connect multiple devices to their laptop simultaneously. 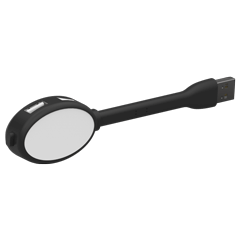 The hub features a handy light that activates when plugged into a USB port, which can be turned on and off via a switch. 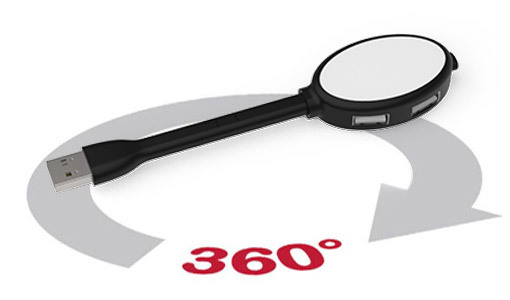 We can Screen Print your logo and brand message onto the large brandable area, all in precise detail. 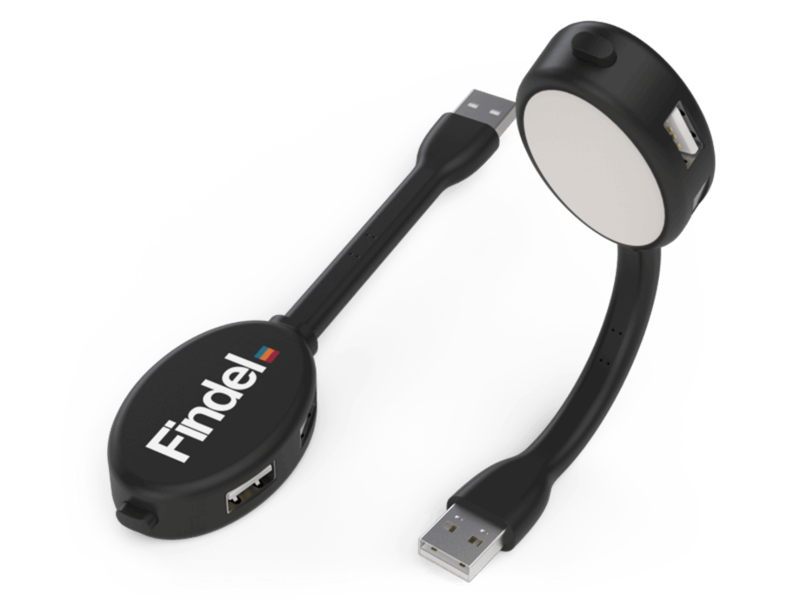 This handy USB hub makes for a memorable giveaway at your next Meeting, Conference or Event.